It’s a brave new world – the way we consume news has dramatically changed over the past few years. 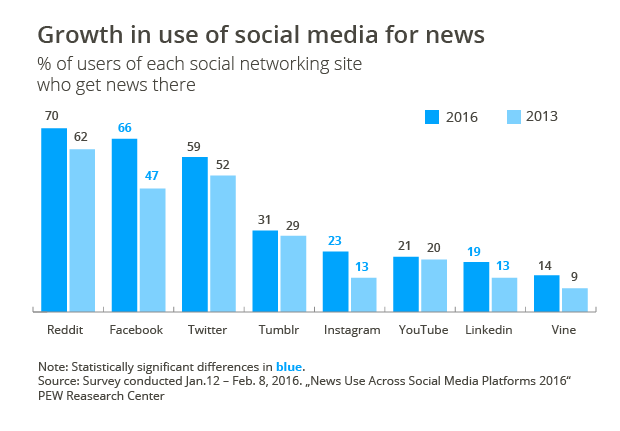 A majority of U.S. adults – 62% – get news on social media, and 18% do so often, according to a new survey by the Pew Research Center. 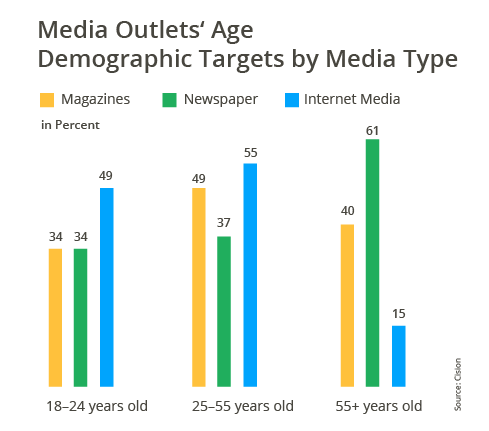 This means that basically everybody consumes news over apps and on news sites on the internet, leaving printed magazines behind in terms of speed, media richness and engagement. Like no other channel before, these mobile channels support comments, likes and sharing and make news accessible to everybody. Considering the corporate world though, a printed employee magazine can still be found at a lot of organizations. While these magazines are great in order to share bigger background stories and to provide something tangible your employees can actually touch, printed internal communication magazines have no chance of meeting the requirements the quickly changing realities in our companies create. Besides that, producing content for a quarterly magazine often is a burden to small internal communication teams and costs for designers, print and delivery consume a big part of the team’s budget. Money, which could be spent with a higher return elsewhere. Learning from the consumer world the obvious solution is to replace the magazine with an online version. Most companies have already made the first step by showing news on the starting page of their corporate intranet. The fact that they didn’t go further and saved the trees is because of three major challenges that have to be considered when thinking about replacing a printed magazine. Your intranet news are not able to reach people without intranet access and people cannot read them at home or on the train as they were used to with the magazine. The solution for this problem is to launch a mobile app which people can then download from the public app store onto their private smartphones. These apps have dramatically higher engagement rates. In addition, push notification enable you to actively reach out to your staff for important information. 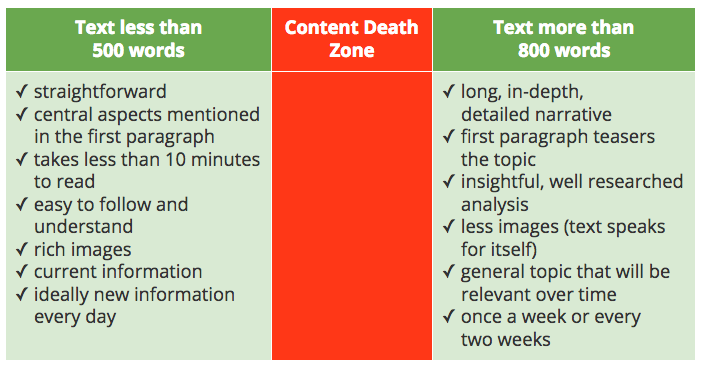 Furthermore, you will be able to publish content much more often, with richer media and more, shorter stories. “An app gets your employees to identify themselves with the company and engage in the daily news feed.“ Read our ebook on launching an branded internal communication app to learn more about the process. Even if you are able to replace paper with an app – what do you do with those employees that don't have a smartphone or don't want to use it for your corporate app? We at Staffbase have seen that for a lot of companies, this has not been an issue at all. However, we still get the enquiry from time to time to provide an alternative print or email version due to locations specific needs or particular circumstances. Hence, we provide possibilities to copy your mobile news channel to more traditional media such as paper. The printed medium still has a place in the advertising ecosystem. A printed medium is not only used to display adverts but also to represent the company itself and, therefore, function as an advert for your company. That’s why an advanced app such as Staffbase comes with advanced branding and design possibilities. In this blog post we will cover the different process steps it takes to transition from a printed employee magazine to a real-time, interactive corporate news app while also clearing the challenges above. Let's save the rainforest! 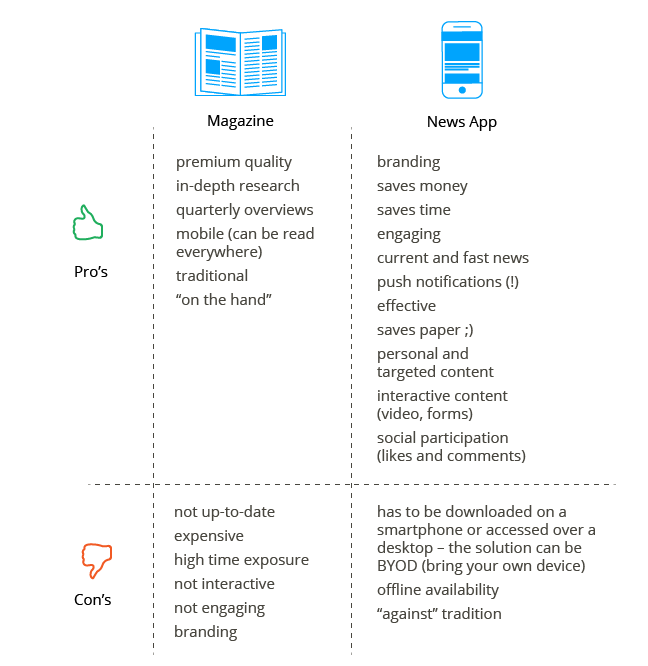 Considering just the business side of things an app has four central advantages over a printed magazine. Time: Getting a magazine ready for print can take months. At the New Yorker writing one article alone can take weeks. Heck, this article took two weeks to write! You need dedicated authors, editors and designers. In addition, a magazine has no chance to communicate last minute change.Looking at the original goal of an internal comms department – keeping staff updated on recent developments in the company – it can even be argued that a quarterly printed magazine just does not keep up to the needs anymore. Cost: An employee magazine’s printing costs alone usually exceed the costs of an branded employee app. Furthermore, consider the cost for design and contribution. From a different point of view, an app also increases employee engagement by up to 10% which can increase profits by 2400$ per employee per year. Efficiency: An app will not only save printing costs, it will also increase the efficiency of your teams and every department as it increases reach and enables dramatically more timely engagement with employees. The shift in internal communiction: Taking internal communication mobile will elevate the flow of internal information to a new level. You will be able to timely reach all your employees including your non-desk workforce and, hence, drive employee engagement, hence, increasing all the points above. Consider, additionally, that the mobile solutions are much more interactive and function in real-time. There can be a editorial calendar for things that are predictable but the aim should be to create content as soon as the topic comes up. The most engaging content will be the one you wrote during lunch because you suddenly realises this was a pressing piece of information, while you had no idea that this would happen during breakfast. Relevance is the key and for the first time actually possible. Just because you are going online, that doesn’t mean you have to lower your quality expectations, but rather that you have to change your attitude concerning what quality means. On mobile channels getting the right message out in time is more important than getting it out without typos and with professionally done graphics or pictures. Be prepared to write articles as you go. See content publishing as an ongoing process in contrast to the four deadlines you worked towards with your printed employee magazine. Be prepared for much more direct feedback in comments, likes and usage statistics and adopt quickly. Communicate timely news: In comparison to a magazine your new aim is not to collect the most important news from the last four months and write long perfect articles about them but rather to always publish what's new. This process entails that things might be a bit more gritty. But also more interesting and timely. Ensure usability: Even before security usability is the number one thing you have to ensure in your mobile app. Make it easy and all information accessible within three layers of navigation. Usability applies to content, too though. Consider the content rules above and remember that shorter pieces with more images will be read more often. In-depth articles: While before these pieces made up the majority of the content it has now become less important. For the new process to work remember to make content creation open to your employees. Traditionally content was created by very few chosen writers and editors but the mobile version now enables everybody to write their own news posts and comments, in addition to using pictures and videos. While you can still decide who does what over administration rights, it is very effective to open up the writing process to all departments. This leads to a higher relevance in the topics for your employees, because they come from their own ranks. As a manager you can't know everything, especially considering different locations. Let your workforce write about topics that are current, interest them, and will increase the usage. For example, create local news channels and enable local staff to fill it with content. This way you enable local staff to use the app to reach their local audience and leverage this to get rid of all those underground employee magazine projects going on. Now that you have the app what do you do with the small news section on the existing intranet? If you don’t want to give up on it there are three different approaches we have seen with our customers. Keep the news column and create content in your existing intranet like before. You can then feed this content into the app. Staffbase provides you with a content API which enables you to insert existing content into the app as well as removing it. Be aware though, that this is only an option if you really want to keep the current solution. Dedicated news app solutions like Staffbase usually show a much higher usability and functionality concerning the creation of timely news. Also, syncing social interactions such as comments and likes is very hard to achieve. 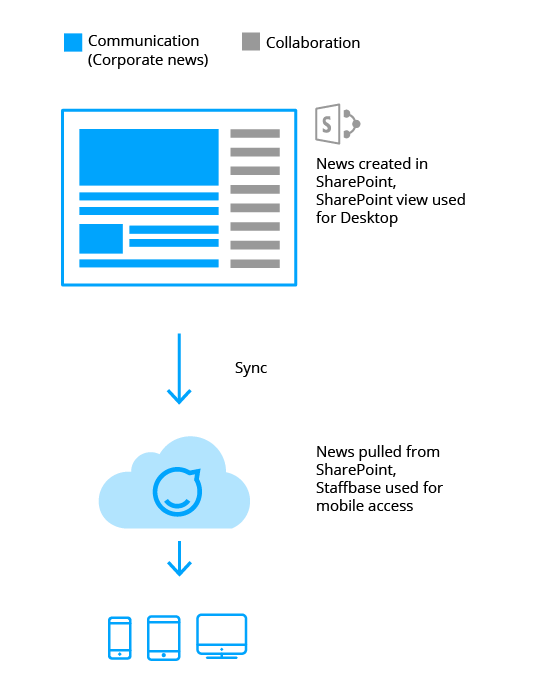 Adopt a news app and embed the newsfeed displayed there into the intranet. In this case you benefit from a ready-made CMS. CMS stands for Content Management System and is an application that provides capabilities for multiple users with different permission levels to manage the content in an app or on a mobile platform. Managing content in this case refers to creating, editing, archiving, publishing, collaborating on, reporting and distributing website content, data and information. Staffbase has an administration interface which allows you to decide who is allowed to publish content and makes the process easy. 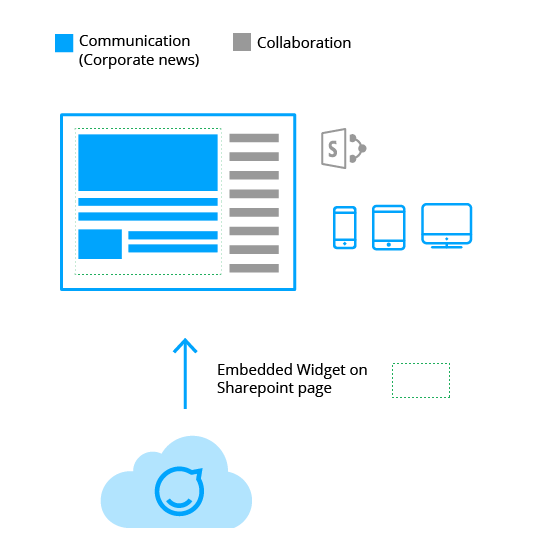 With this solutions you are able to keep things as they are for your intranet users by embedding parts of the news from the news app into the Intranet. The challenge in this case is to establish Single-Sign-On. 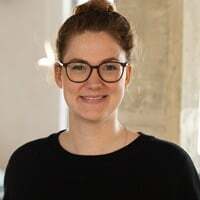 On your intranet your users already have an ID and passwords, if you now want to introduce SSO or the App, and exchange content back and forth, you ideally will also install SSO to the intranet in order to ensure usability. 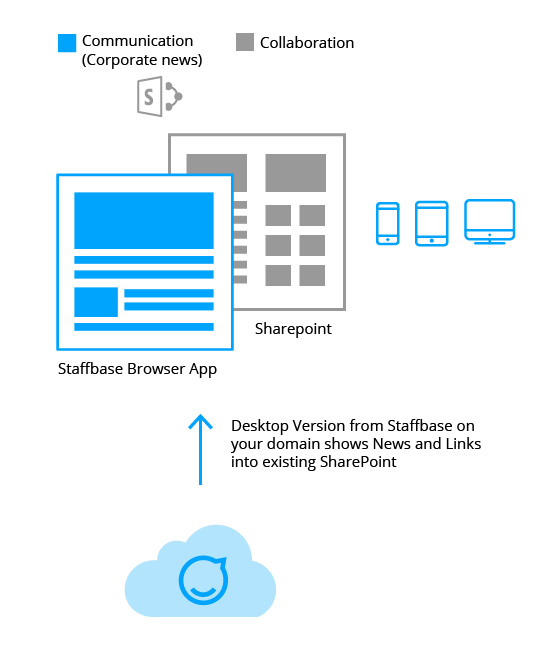 Use the desktop version of your app as your new intranet start page and link to your collaboration intranet from there. Implementing the same design patterns on both solutions can create a unique user experience. An advanced app like Staffbase is the easiest way to achieve personalisation on this level. In our app you can choose which logo, typography and colour you want to use and still get all the advantages of a ready-made solution.